THE SECOND CHANCE is a feature-length motion picture starring Michael W. Smith and Jeff Obafemi Carr. The music of the film sets the tone for the contrast in the story between the suburban and the urban, the comfortable and those at risk. Ultimately, the soundtrack extends the emotions of the viewing experience through cuts ranging from gospel to rock with original instrumental scoring by Michael W. Smith. Featuring performances by Casting Crowns, Third Day, Fred Hammond, and J. Moss, plus extensive contributions from Michael W. Smith including "All in the Serve" a new song co-written by Steve Taylor and Smith and performed by Smith, this soundtrack will appeal to CCM fans and Gospel music fans alike. 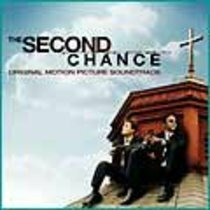 About "Second Chance Original Motion Picture Soundtrack"